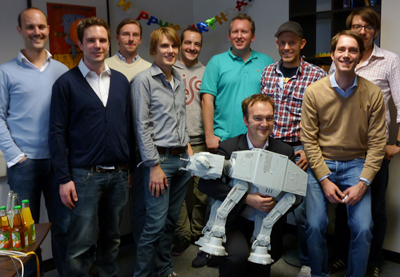 AT-AT joins the ISTO as an associated academic! After tough and lengthy negotiations with Emperor Palpatine, we are happy to announce that a veteran of the Battle for Hoth will support the ISTO as an associated academic with immediate effect. We are convinced that AT-AT's decade-long front-line experience in extraterrestrial terrain and the research area of the Institute at the intersection of strategy, technology and organization will offer an exceptional potential for synergies. Welcome to the team, we are looking forward to a prosperous cooperation!